We’d love your help. Let us know what’s wrong with this preview of Barefoot at the Lake by Bruce Fogle. Every year in June, when school finishes, the summer people invade Long Point on Lake Chemong. It's 1954, and Bruce and his dog Angus are desperate to reach the lake - Angus to roll in dead fish, Bruce to count how many different birds he can see. 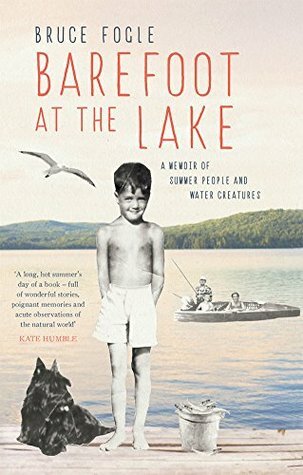 Barefoot at the Lake is Bruce's evocative account of this one particular summer, when his eyes are opened to the complexities of Every year in June, when school finishes, the summer people invade Long Point on Lake Chemong. It's 1954, and Bruce and his dog Angus are desperate to reach the lake - Angus to roll in dead fish, Bruce to count how many different birds he can see. Barefoot at the Lake is Bruce's evocative account of this one particular summer, when his eyes are opened to the complexities of girls, adults and the natural world. He will introduce you to a cast of unforgettable characters and animals. His strong, handsome and taciturn father who works as a florist. His mother in short shorts and a tight shirt, unwittingly charming all the men. His heartbroken uncle, and a seagull called Popeye. And not forgetting Grace, with shiny brown hair and chapped knees. To ask other readers questions about Barefoot at the Lake, please sign up. Having spent summers in Michigan, I enjoyed the stories about times at a lake. The stories are good, would actually have given this a 3 star rating; but some of the stories about his older brother and friend's treatment of animals were difficult to read. Glad the author grew up to be an animal lover and vet.